You are currently browsing the daily archive for August 11, 2014. 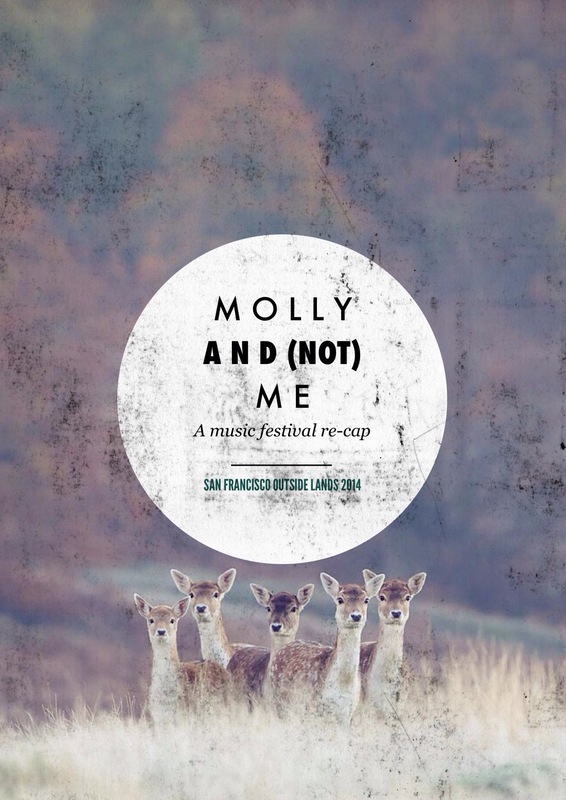 Almost immediately after returning from Portland, OR (I will write about that trip shortly) I was whisked away to San Francisco’s annual music festival Outside Lands, held over 3-days in Golden Gate Park. This wasn’t really a planned event; I kind of planned all of this at the very last minute. My travel companion & I wanted to go to Outside Lands ever since we saw the music lineup for this year, but we were very skeptical to shell out big bucks for tickets, since we were originally planning a vacation to New York & needed to save our moola for that massive expense. So, we decided at the beginning, on not buying tickets. Plus, there was a small discrepancy on which tickets to get. My concert buddy only wanted to go for one day, & I wanted to go all three days. My concert buddy only wanted to watch The Killers on stage, but for me, there were so many other bands/artists I wanted to watch perform (ie. 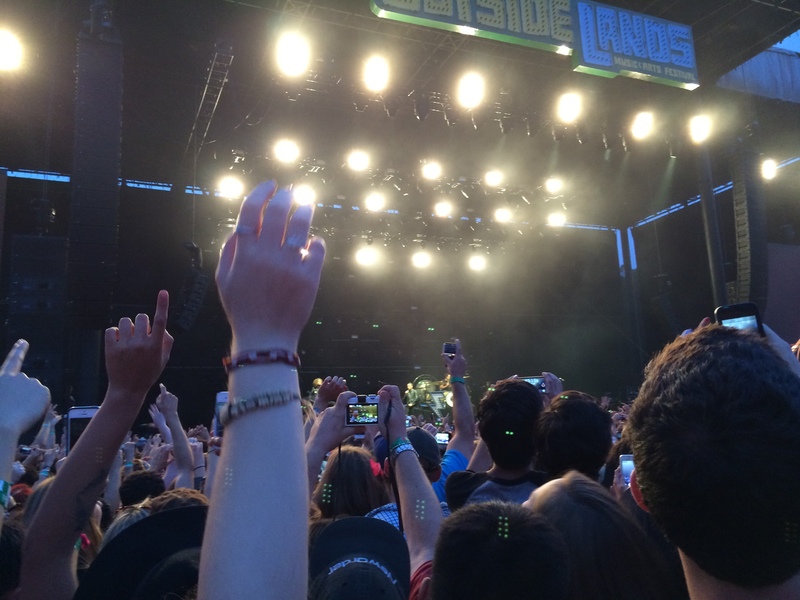 Arctic Monkeys, Bleachers, Capital Cities, Grouplove, Death Cab For Cutie, & my secret love…Big Freedia). Ok, back to the original topic, my re-cap. I was really quite impressed with the way the event planners handled the whole festival. Everything was well-organized & clearly marked (I was expecting massive queuing lines & disgruntled concert-goers), except I wish they had done better bag checks because too many people were able to just waltz right in with their own alcohol & party drugs without one single staff member even batting an eye. I think what surprised me the most was 1. The very short lines to the Port-o-Potty bathrooms & 2. Everybody from the shins down was covered in dust & dirt from kicking up all the soft earth while walking on the unpaved footpaths. (I felt like I was camping like I used to do when I was a kid.) What surprised me the least was there was no TP in any of the stalls…oh & girls dressed in skimpy outfits. cut-off denim booty shorts, slouchy vintage t-shirt, boyfriend-style plaid shirt (to show off how grunge &/or bohemian you are), ankle boots, Ray-Ban wayfarer &/or aviator sunglasses, plenty of unnecessary jewelry (that says I’m trying way too hard to be girly AND edgy) & pasted-on makeup. vintage/graphic t-shirt or tank top, chino pants, Van’s sneakers, Ray-Ban wayfarer &/or aviator sunglasses & a haven’t-washed-my-hair-in-weeks hairstyle. Other than the music (obviously), I loved all of the food & activities at the festival. Oh my stars! I could just spend an entire day sampling all of the food from each of the food stalls…So. Mouthwatering. Good. (I’m getting hungry just thinking back on all the food!) FYI, to eat I had the pork fried rice from Chino, beer-braised chicken soft tacosfrom Tacolicious, & a cheese tamale from Alicia’s Tamales Los Mayas. To drink, I had lemonade, Anderson Valley Boont Amber Ale beer, Bulleit Bourbon manhattan cocktail, & Coke. One of the highlights of my entire music festival experience was the charcuterie break dance-off. Yes, you heard it here first…a break dancing dance-off featuring two butchers from 2 local charcuterie/butcher shops. The break dancers would dance at the front of the small stage while in the background, the butchers were chopping & slicing up a whole pig. The day’s guest butchers were from Fatted Calf Charcuterie & Avedano’s Holly Park Market, both from San Francisco. This, by far, was the most weird yet interesting live events going on at the festival. I had so much fun watching this. The most fun part was watching the butchers carefully hacking up a pig’s head. The break dancers weren’t so bad either. 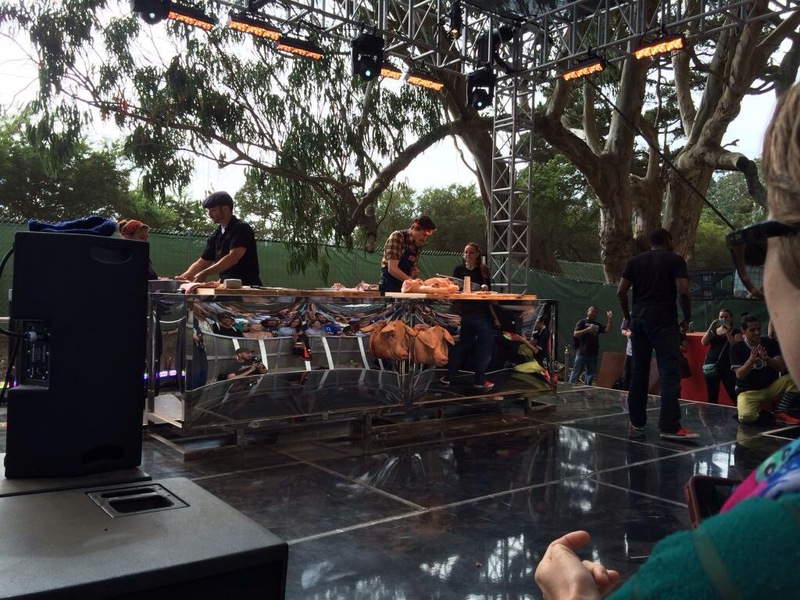 At the end of the show, all of the pork cuts that had been made on stage were not going to be wasted. They were going to be used to feed all of the volunteer staff (the guys picking up trash, passing out maps, etc.). Photographic evidence this charcuterie break dance-off actually happened. Now on to the music…Various artists & bands were performing on stage throughout the entire day, but the main event we were there to watch did not go on stage until the end of the night. So, we mostly wandered around the park for most of the day, soaking up the enormity of the festival. We got ⅓ of the way up to the stage just in time to watch THE FLAMING LIPS perform right before our favorite band THE KILLERS shut the house down. I’ve known of The Flaming Lips for many years, but am not really a fan of their soft, ambient rock music. Let me just start this off by saying Wayne Coyne is pure magic. He is also full of rainbows & sunshine, literally. 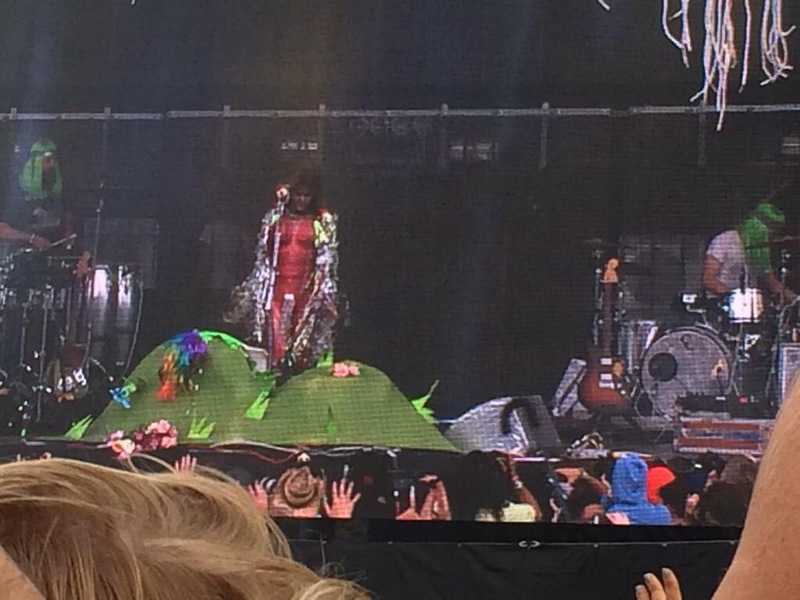 No, I’m not joking, he invited a number of costume-clad guests up on stage during his set (including, a grassy hilltop with a rainbow-haired woman lying inside & peeking out of it, a 2-person manned rainbow, butterflies, a giant sun, 2 mushrooms, an alien, & I can’t think of the rest). I didn’t quite “get” Wayne’s outfit, a flesh & muscle depicted bodysuit that made him look like a character from the Attack On Titan anime with silver string tassels hanging from the crotch like a Japanese fundoshi (loin cloth). I enjoyed this set. I only recognized two of the songs they played, but I was still captivated by the eclectic stage show & Wayne really knew how to engage the crowd. However, I spent a fair amount of time trying to explain this band to my concert buddy who didn’t know who The Flaming Lips were at all & didn’t take a liking to their more Avant-Garde approach to music. Pardon my lack of quality in these photos. I strongly dislike taking out my mobile phone at concerts to take photos &/or videos. I am there to enjoy the music, not to hold up my hands & stand stock still while I block the view of the guy behind me. I’ve seen The Killers in concert before, but somehow this performance was so much more high energy & exciting for me. Maybe it was because the moment had finally arrived, & I was ready to get the show on the road. It was such a relief when the lights turned down & the band ascended the stage. I truly believe the light show nearly stole the spotlight from Brandon Flowers (who killed it on vocals, by the way). 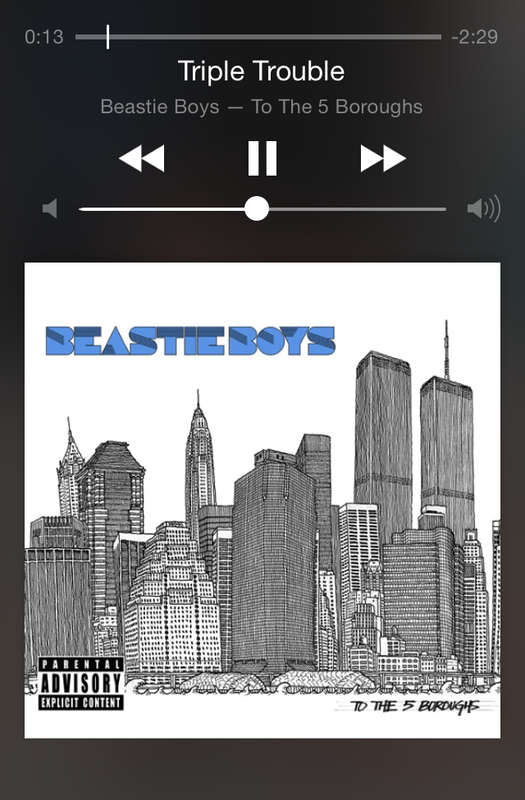 You could tell that the light show was an homage to their Las Vegas roots, a bit of a nod to the flashy Vegas Strip. One of the things I love the most about The Killers, other than their strong family values & bonds, is their love for their hometown. In a lot of their songs lyrics or album cover art, you will notice the tongue-in-cheek homage to Las Vegas, at once making fun of the touristy glitz & honoring their beloved city all at the same time. This set was particularly memorable for me (as well as for my concert buddy) since it was more like a Direct Hits (<—a nod to their CD’s name) set list. The Killers played all of their hit songs & then some, really amping up the crowd between the lighting choreography changes. I don’t think I have ever sang along or screamed so loud at a concert in my life (except at the Save Ferris concert back in 1998). It was a good thing I had a drink with me the whole time, otherwise I would’ve lost my voice by the end of the night. I have to admit, the greatest moments of The Killers’ set (& there were 2 separate moments) were when they performed two cover songs in between playing their own hits. They first performed a cover of Credence Clearwater Revival‘s song “Bad Moon Rising” (a nod to a classic Bay Area band). Then later on, they performed a slightly altered cover of Otis Redding‘s song “Sitting on the Dock of the Bay” (which is a song about San Francisco). They changed the lyrics “…home in Georgia” to “…home in Las Vegas” and the lyrics “…heading to the ‘Frisco Bay” to “…heading to Outside Lands“. Those two moments really stood out in my memory. The Vegas boys started their set with the oh-so-popular “Mr. Brightside” & ended on a roaring bang with “When You Were Young”. In between were a sprinkling of Hot Fuss, Sam’s Town, Day & Age, & Battle Born top hits. I kind of wish they had played their newest singles “Miss Atomic Bomb” and “Just Another Girl”, but I was still happy they performed almost all of my all-time favorite songs. By the end of their set, I was grinning from ear-to-ear. In the end, I was exhausted & very sweaty from A. the whole day’s exertions (did I mention we parked 10 blocks away from the venue? ), & B. people pushing shoving you just to get 1 inch closer to the stage (with lame excuses like, they have to meet their “friends” at the front of the stage). There was absolutely NO space for anybody to move even half an inch, but you’d still get pushed & squeezed in every direction. I can’t tell you how many times I got jabbed or groped by someone’s elbow or backpack right in the chest, or how many times my feet got stomped on (practically steamrolled right over my feet). I was, in the most extreme way possible, harshly shoved, squeezed & quite frankly barreled over by the most rudest concert-goers I’ve ever encountered in my life, & trust me…I’ve been inside a rowdy mosh pit at the Van’s Warped Tour back in the late 90s when there weren’t so many laws against trampling over people at concerts. The event staff was great at policing the kids who thought it would be cool to sneak in a water bottle filled with tequila, or catching cheapskates not wanting to buy full-tilt cocktails at the festival & sneaking in bum-sized bottles of Fireball whiskey (which tastes appalling, in my opinion). They were also good at catching kids trying to hop fences & bum-rush the stage, but other than that, nobody could police the courtesy, civility or manners of the general concert-going population. While as patiently as humanly possible in that situation waiting for The Killers’ set to start, all I could hear around me were smug talks of the last time that person tripped out on ecstasy (more affectionately known as “Molly”, a word made popular by the incorrigible Miley Cyrus) or of all the marijuana smoking going around. It made me sick to my stomach, that these kids would try to glamorize the copious & very public use of “Molly” and “Mary Jane”. One of the main reasons people were being so unbearably rude at the music festival was because they were either highly intoxicated on drugs, alcohol, or both…on that day, it was both. Aside from all of my ranting & hollering about the rudeness of the people, I would definitely go back to Outside Lands next year. Although, I will bring some sort of non-weaponized stick next time, so I can poke others in their butts if they try to cop-a-feel. Eh, maybe not. Cheers.